Meliphaga auriculata Salvadori, 1881, Utanata River, New Guinea. 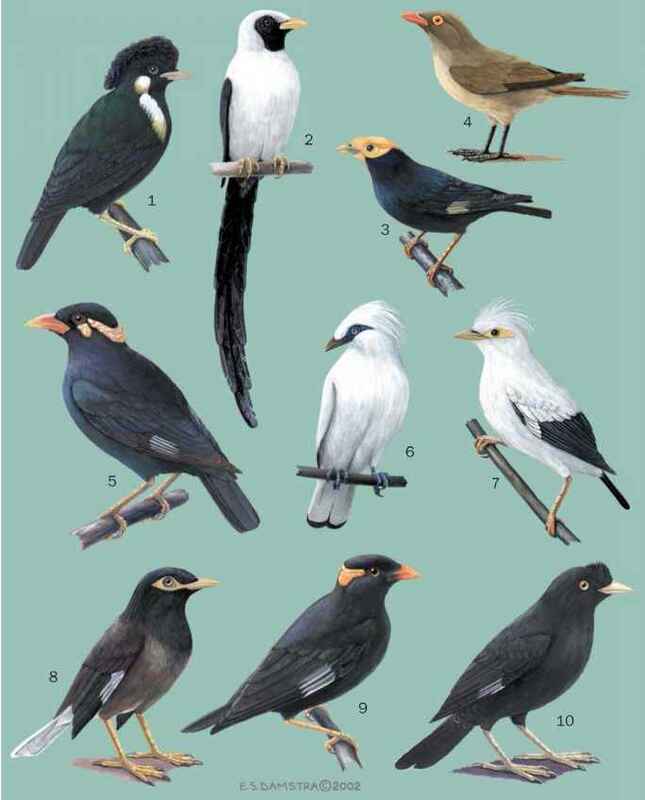 English: Puff-backed honeyeater; French: Meliphage bouffant; German: Aruhonigfresser; Spanish: Melifago de Lomo Inflado. 6.7 in (17 cm); 1.1 oz (30 g). Olive-green upperparts with narrow yellowish rictal spot on sides of head; blackish lores; and gray underparts washed yellow, darker on flanks. Feet dull gray, bill blackish brown. New Guinea from sea level to 4,000 ft (1,200 m), Aru, Yapen, West Papuan, D'Entrecasteaux, and Trobriand Islands. Lowland rainforest, especially in dense regrowth after disturbance in both secondary and primary forest. Shy, usually hidden and very hard to identify from several similar meliphagas with which they may occur. Voice is a rapid series of mellow staccato notes. Take fruit, nectar, and insects by gleaning in the understory and lower canopy. Breeding recorded March through April and August through December. The cup-shaped nest of dead leaves and bark is sus pended in shrub or sapling. Female incubates one or two eggs, and both adults feed young.